﻿Stratonicea, Stratonikeia or Stratonike, was one of the most important towns in the interior of Caria, Anatolia. 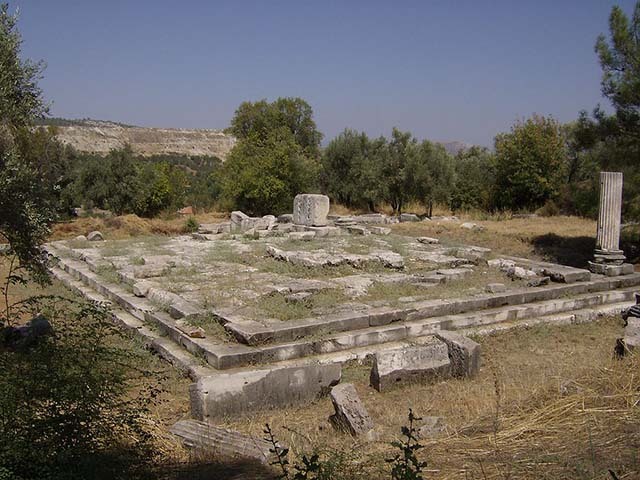 Its site is now located at the present village of Eskihisar, Muğla Province, Turkey. The city was founded by the Seleucid king Antiochus I Soter (281–261 BC), who named it after his wife Stratonice. The most impressive remains of the city are dating back to the Roman age in the 1st and 2nd century AD, which include the theatre, the temple, the acropolis and the fortress.